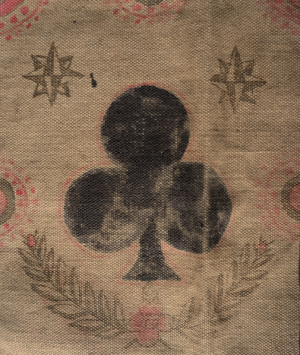 ‘Crown & Anchor’, is an old English gambling game, its origins can be traced back to the beginning of the 18th century, though possibly even earlier. 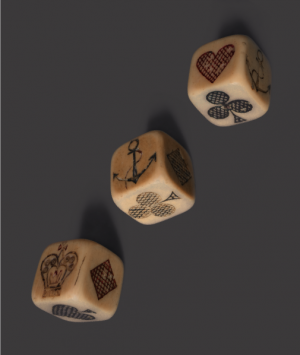 The game was played among British sailors of both merchant and fishing fleets, becoming almost synonymous with the Royal Navy due to its huge popularity within the service. 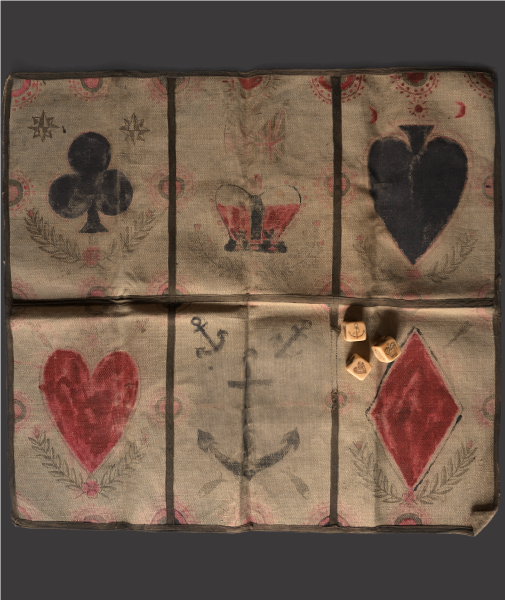 Irrefutably the best known game within the British fleets, the simplicity of, ‘crown & anchor’, combined with relatively good odds meant that the game went far beyond a relief for boredom while at sea, in fact as soon as sailors came ashore, games would spring up in pubs and taverns frequented by them, hence the profusion of drinking establishments which carry that name to this day. 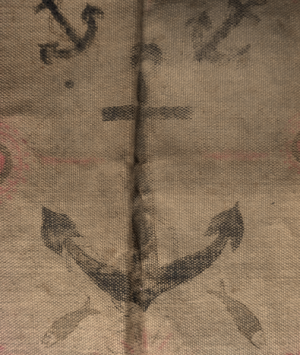 Interest in the game had declined by the end of the 19th century with the exception of a brief resurgence during both WWI and WWII, where it once again provided a little welcome entertainment for those who found themselves at sea. 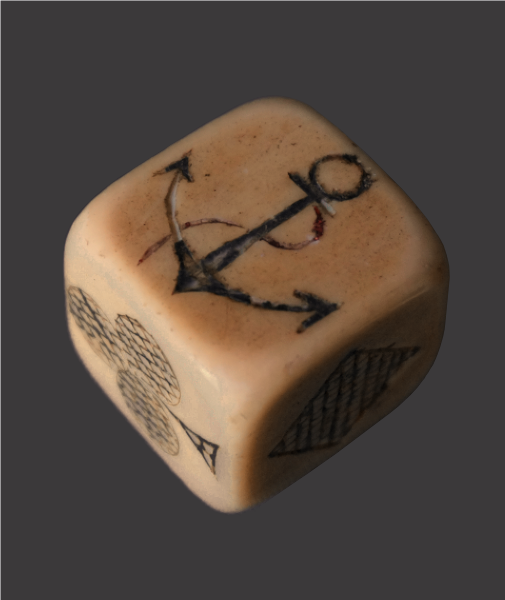 This exceptionally rare, complete, early 19th century game consists of three, beautifully carved marine ivory dice with colour inlay and original gaming board made from sail canvas, decorated with a variety of charming patriotic and nautical symbols in addition to the necessary devices of the game.